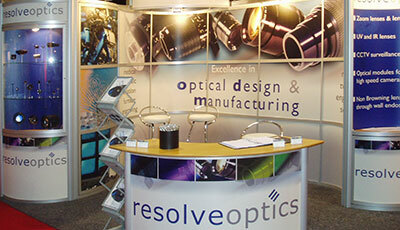 Resolve Optics has announced that it will be exhibiting at VISION 2014 in Stuttgart, Germany. Visitors to Stand 1-I22 will be able to discuss with technical specialists how a custom lens design can enable them to benefit from the full performance of their camera, sensor or instrument. Managing Director of Resolve Optics, Mark Pontin commented “In todays competitive machine vision arena – market-leading cameras, sensors and instruments often rely heavily on outstanding optical performance. 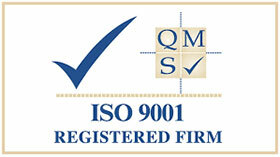 We have built our reputation on development and supply of specialist lens and optical systems that enable products to achieve their full performance potential thereby enabling our customers to gain that all important competitive advantage”. He added “Drawing on our team of experienced optical designers and engineers we have created specialist lenses that are optimized for large format sensors, that offer greater resolution and large aperture lenses that make maximum use of available light. Resolve Optics has also worked with customers to produce specialist machine vision lenses that provide wide fields of view with little or no distortion, optical designs and coatings that are balanced to give best performance at a desired wavelength or waveband and compact lens designs where the target application is space limited”. Over the last 20 years, Resolve Optics Ltd has accumulated considerable experience of developing fixed and zoom lenses for vision applications including parts recognition, precise component placement, automated alignment and placement and automated inspection of manufactured components. For further information please visit VISION 2014 Stand 1-I22 or contact Resolve Optics Ltd. now on +44-1494-777100 /sales@resolveoptics.com.